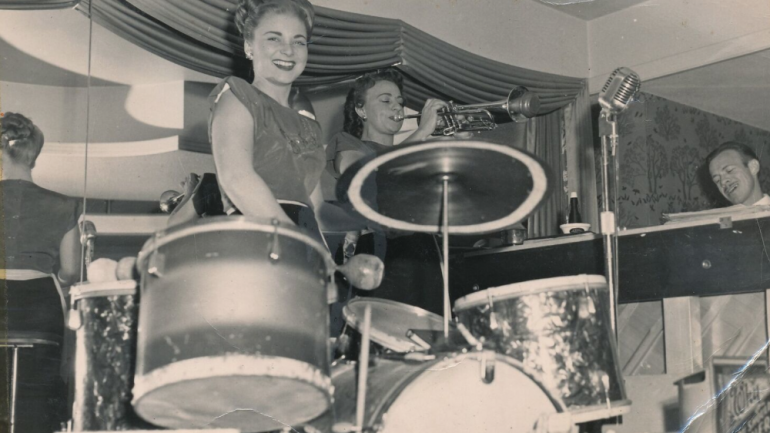 FILMMAKER IN ATTENDANCE In 1935, at eight years old, Joani Hannan picked up a pair of drumsticks and beat her path into entertainment history, becoming a pioneering female jazz drummer who traveled the world in the U.S.O. and played alongside Marilyn Monroe in SOME LIKE IT HOT. Despite the challenges and constraints of the 50s and 60’s for women and queers, Joani showed the strength, self love and courage to be true to herself no matter what. Editor Perry Hallinan edited KASHEER, which screened at SFF 2014.